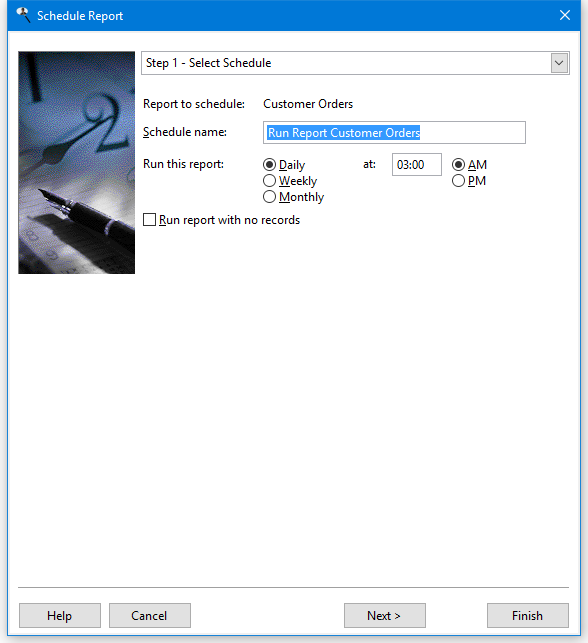 Stonefield Query has a scheduler that allows you to run certain reports at certain times. For example, you may have a report named Customer Orders that you want emailed to someone every morning at 3:00 am. Using the Schedule Report Wizard, you can specify when the report should run and how often, and where the output should go: to a file, emailed to one or more people, or printed. You can schedule batches of reports so multiple reports are output at a time.